We are discontinuing these colors of our very popular sheets. That means BIG SAVINGS to you! We've sold over 100,000 sets of sheets since these first hit our site and never... NEVER have they sold at this low of a price. When you buy two or more sets your price drops to just $19.99! It is important to remember that we are discontinuing these colors so once we sell out that's it... so don't delay grab a set or two while you can. About These Sheets: Let's get something out in the open right away. These are not Egyptian Cotton, but you would be hard-pressed to tell the difference by feeling them! Of course you can tell the difference in the price... we've got an extreme low price. Made of super-soft and durable Microfiber, the 1600 Series boasts a claim of "Experience the same Comfort, Luxury and Softness as 1600 Thread Count Egyptian Cotton"
It's true... but don't take our word for it, try them yourself and if you are not completely satisfied return them (with the original packaging) for a refund (less s&h). - Flat 108" x 102" Fitted 78" x 80" Pillowcases 21" x 40"
- Flat 90" x 102" Fitted 60" x 80" Pillowcases 21" x 30"
- Flat 81" x 96" Fitted 54" x 75" Pillowcases 21" x 30"
I love these sheets! They are incredibly soft and fit like a glove. The price is unbeatable and really fast delivery, I ordered on a Friday and they were here on Monday! I would recommend these to anyone looking they are a great product. A little thin but fit great and are really soft. Feel nice. Love them. This set of sheets exceeded our expectations. They are very soft and comfortable and fit our mattress better than our other sheets. My wife was skeptical until we received them and used them and now she is a big fan. I love these sheets, they fit perfectly. I have purchased 2 sets and plan to buy more. Beautiful quality but a verypoor fit!!! I rated it a 4 earlier before we used the sheets The sheets are nice quality and the blue color is beautiful!! However, it does not fit well on our king-sized bed. The bottom sheet doesnt fit well and is sloppy and very messy after one night of sleep. Very disappointing!!! I guess we will give it to a charity. Poor quality for Pulse TV. We have bought these before and love them. We bought these for our friends who live in Paradise and lost everything in the camp fire. Paid a bunch more for other brands and they are nowhere near as comfortable. The blue color is beautiful and the sheets are so soft. They are a bit too big for our king-sized bed. The bottom sheet will not stay tucked in. 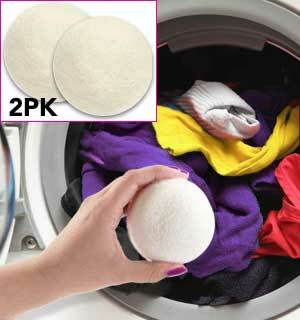 If you remember to wash in cold water on gentle cycle and dry with medium heat they will last for years and years! So amazingly soft! Perfect for summer use, too light for winter. These sheets are incredible. When people say soft, they mean silky smooth! Intense colors, huge pockets, generous dimensions, and extra long pillow cases! These sheets are what sheets wish they all were! I am so happy with this purchase, that I sent all my other sheets off to the thrift store! This is the 3rd set of these sheets I’ve purchased. They are so soft and wash very well. They have remained soft after dozens of washings! These were a gift for my daughter. She loves them. They are so soft and don’t pill after several washings. Beautiful and Comfortable Queen-size sheets. Love the sheets. Bought five sets so far! Gave three of them as gifts and recipients loved them as well. Ordered the wrong size on one set and the Customer Service was fantastic in correcting the order. Pulse is so nice to deal with. Ill surely be back! I purchased a Cal King set in Cream. It looks nice however it is a little thinner than I expected, and after a few washes has already pilled in some areas. I was really hoping the sheet set would be better quality but its really not as good as advertised. Best Bed Sheet value ever! This is the 4th time we have bought these sheets. They feel good and last and last. Best buy ever! 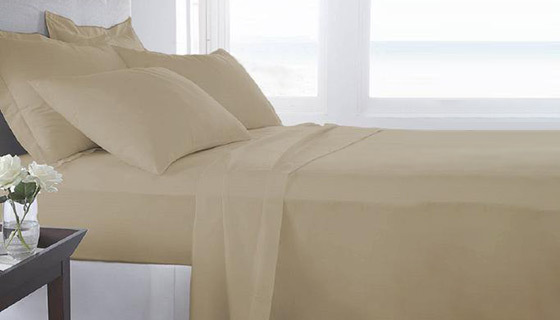 I love the softness of these sheets, and they wash beautifully. I have bought these sheets before recently and my wife and I love them. They are comfortable and very well made. I bought the king sheets and they are plenty big. I have bought sheets from name stores and they just barely fit. That’s not the case with these. We really enjoy these!!! Great product and very reasonable too!! I have washed them and slept on them and I will give them a 5 star in both. Sheets have a great texture feel. However a more aggressive or stronger more robust elastic edge for the fitted sheet would work better. These sheets while they are soft theyre very flimsy; very hard to determine top/bottom/sides. I tried every way to make them fit & they did not. I have CA King & packing list says that is what I received. I called for return; Im being given $10.00 credit return shipping; however, the cheapest shipping I could find was $14.00. I would not recommend these unless you like flimsy & spend time figuring out top/bottom, etc. The color I got was Khaki which is more like a taupe brown. I have bought these sheets before and I love them. Have purchased them for myself and for my daughter and we all agree they are the softest ever - even softer than high thread count sheets. Great buy! I was very pleasantly surprised how soft these were. I have paid a great deal more for sheets that were not. They get even softer after washing. Only time will tell how they hold up over time but I feel they will last as well as the more expensive. Fast delivery. Great feeling sheets. These are just great sheets and a bargain at this price. Have bought 6-7 sets over the years and love sleeping on them. The hype is true! 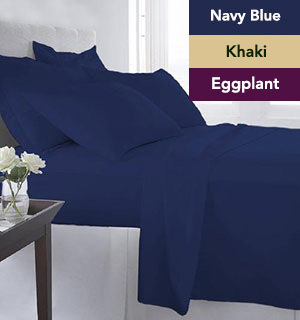 These sheets rival in comfort our 600 thread count sheets for a fraction of the cost. We slept on them one night and my wife had me order another set the next day. The sheets I received was excellent. Theyre very soft and they fits my oversized mattress just fine. They also were delivered in a timely manner, and I gave them a thumbs up with a five star rating. I have ordered sheets in the past from this company and I have no complaints. The Product is very good. These sheets are very soft and make going to bed a pleasure. The price is remarkable for sheets like these you find in 5 star hotels. There very easy to put on the bed and so far no fading of the colors. So dont hesitate n buy you 3 or 4 sets. Very sheer and nice to the touch ! Great Summer sheet or for those who just need a light cover. They remind me a bit of Silk. This is the second time I have ordered the sheets for our guest room and I also got a set for our master bedroom! The quality of the sheets for the price is beyond compare. SHEET SET IS VERY MUCH WORTH MONEY SPENT.. The sheets were just as promised. They fit a futon mattress perfectly, didnt slip, were comfortable and soft. Iâ€™ve been a pulsetv customer for a few years but this is the first time purchase for these sheets. I actually prefer them over my Brooklinen sheets that cost over $100. They are super soft and the price is amazing. Will be recommending them to friends and family. Disappointed that the bottom sheet was a fitted sheet. I abhor fitted sheets! I’ve been buying these sheets for a few years now and they are the only sheets I put on the 4 beds in my home. They look and feel like expensive designer sheets. They come in a great selection of colors and the price can’t be beat. I will not buy sheets anywhere else. These are great set of sheets for the price I paid. I really liked them and they are great! First time buying these sheets, bought for my granddaughter that is away at college..she loves them. Will buy some more..great price! I like the sheets a lot. They are clearly very high quality and they feel great. BUT, mine came with something that looks like a bleach stain on one of my pillow cases. Doesnt make it unusable, of course, but its a little unsightly. I just put that side of the pillow down when I make the bed. Im hesitant to purchase more because I dont know if they will all have some sort of blemish or not. But they are otherwise very good, fine sheets. I have both the King size and the Queen size sheets, and they are the most comfortable sheets that I have ever purchased. They are cool in the summer and now that the weather is turning cooler they are also warm and breathable. These sheets are exceptionally comfortable. They wear well, wash well and fit well. Its not often one gets their moneys worth. This time you will. these sheets are as soft and comfortable as any I have ever had. I would recommendand have them to anyone. Just received the order and have not used them so far. Will possibly take them to Az. this winter so may not know how to evaluate them for a while. This is the 3rd set of these sheets I have ordered from Pulse. First off I want to say that I love them, they are super, super soft, well made and a great price. The only issue I have is a small one to me but worth mentioning to people who might care about it more than I do. The issue with this particular set is the color. I ordered the eggplant because it was a nice purple but upon receiving them I noticed that I could barely tell the difference between them and the beautiful chocolate brown sheets that I also purchased here. I thought maybe it was just me, or a trick of the light but without prompting, my girlfriend also said that they looked brown. Up close, you can tell the difference but it is minimal. All of the other colors I ordered have been great. Like I said, I love these sheets and I really didnt mind about the color not being exactly right but others might. Love the color, the softness. Just perfect. These sheets are very soft and feel silky. They are such a good price too! I really like the chocolate brown bed sheets I purchased from Pulse TV. The ordering process was great and delivery was smooth. This is a great purchase. Very comfortable and sturdy. very disappointed in the quality. They are so thin you can see right thru them. I have always been satisfied with what i purchase, but not this time. This is a wonderful deal! I love these sheets and have ordered for My Daughter, Grand Daughter and of course myself. I have ordered khaki color this time it has turned out to be my favorite. These sheets are terrific. So soft and comfortable that we drop off to sleep almost immediately. One of the best buys weve ever made. I have sensitive skin, my skin loves these sheets. My wife loves them more than I do. I can see why customers come back to buy more of them. It was a shot in the dark you never know that turned into a bullseye. The next test is how durable they are. If they last, Ill be back. They are exactly what I paid for. They are very inexpensive and that is exactly what they are worth. This is no less than I expected so this is not a complaint. Pros: Inexpensive, nice color, 4 pillow cases, instead of the usual and inadequate 2. Cons: Kind of thin. Not a particularly cool fabric. Pillow cases seem slightly small, so I have to occasionally tug on them so they cover the entire pillow. We were very surprised with the high quality of these sheets. We will order them again. I love the softness and the color brown is very nice. I am glad I got the California King for my King sized bed, because a regular would have been too small. I always wash & dry before use. Fit is perfect. Comfortably soft. Rival those sheets that sell for more $$$. Will buy again. These sheets appear to be all that you said they were. I washed them & put them on a guest bed and they look great but no one has slept on them yet! The price is fantastic and the sheets are just as fantastic. Soft and comfortable. Fit great on thick mattresses. Will buy again. Have Recommended to friends and family.Best deal on sheets ever. I have purchased all 6 colors over time and this time I ordered the Navy Blue. Washed the sheets before putting them on my bed and putting the fitted sheet on I noticed that the stitching was not completely finished and the seam was all opened. As for the others I have had no problems. They are great and a good price. I was never slept with a sheet for the first 35 years of my life. Then I bought a set of the Regal Comfort sheets and now I bring the sheets with me when I travel. I bought all my family members a set as well. They are so soft! Love the quality and feel of these sheets. They come out of the dryer literally wrinkle free. These are the softest sheets Iâ€™ve ever used. This is my 2nd time buying them. I love these sheets. These are my sixth set Ive ordered. I love the feel of these sheets on my body, because they are so soft. They make my bed feel even softer. Love the comfort..love the color and love the price. Cant go wrong if you need sheets! I have ordered these sheets through Pulse a couple different times. Great company with quick shipping. Highly recommended! I now have 2 sets of the most comfortable bed sheets I ever owned. I am very happy with the quality of this product and like the soft feel of the fabric. I would definitely purchase this product from PulseTV again.It was easy to shop online and delivery was prompt.Everything was as promised. Love the sheets! First order was for three sets of sheets and then my second order was for two more sets of sheets all of different colors because my comforter has all colors imaginable, but also I liked that they came with four pillow cases instead of the usual two! Great sheets and a great deal!! Strong and light weight. Comfortable and stains wipe off with ease. Better than any sheets I have purchased at Bed Bath & Beyond. These sheets are great! Very soft and comfortable. Awesome deal. Love these sheets. Soft, comfortable and wrinkle free. Love that the top sheet is wide enough for our king size bed. That is hard to find. A little disappointed in one thing. These were from a different manufacturer and the top sheet is not the 108 inch width like advertised. They were only the 104 inch width that I try to avoid.They are just as comfortable, soft and wrinkle free though. The sheets arrived and they fit perfectly. Much higher quality than I expected. I am satisfied. Color and size were perfect, and they were very soft. What a good buy. Im not an expert on sheets, but I know comfort when I feel it. I bought a blue set of these sheets several months ago. I liked them so much that I bought a burgundy set just a week ago. Marvelous and soft !! A great shopping deal. I ordered two sets of the Cal King Size. Washed prior to first use, as usual. Were extremely please with the fit and the softness of the sheets. Especially like the length of the flat sheet since theres enough to tuck under the foot of mattress and plenty for my shoulder and head. We love them. I have purchased over 7 orders of these sheets. I also give them as presents. I love the way they feel. So soft, and breathable. I will buy more. I wish they made them in black. I do mix & match on my beds. I was satisfy with the quality of the sheets however, the color was completely off. I pick khaki because in your picture it looks closer to a green color when in fact the color of the sheets are closer to a brown. You might want to change your picture to make it look more like the real color. sheets and pillow cases are good quality and very comfortable to sleep on. A real bargain at the price. I now have 2 sets of the most comfortable bed sheets I ever owned. Well worth the money! These sheets are as comfortable as sheets costing three times as much. And they fit well too. This is the third set I have purchased. I enjoy them all and well worth the cost. Love my sheets, but concerned! I love these sheets. Great feel... great price. My concern, they are so thin, I hope they last. Ask me again after Ive washed them a few times. Until proven otherwise, my review is positive. Love them, but concerned that theyre going to last after a few washings. They are very thin. I was skeptical but tried a set of Regal Comfort Designer Collection 1600 Series Sheets. They were so comfortable and easy to maintain that we purchased two more sets in different colors. They are a good value for the price. This is my fourth review. That is how strongly I feel about the sheets. I just got the burgundy ones. I now own five of these sheets. Every color except Navy and khaki. They are absolutely the best. Very soft and super deep pockets. I have three sets of these sheets and love them so much I bought a set for my son and his wife. Havent heard any comments yet. These dark sheets are super soft and comfortable. Slightly oversized to make bedmaking easier. I absolute love these sheets. They have deep corners that I need for my temperpedic bed. Purchasing the burgundy today. I know will have all the colors. Would have rated 5 stars but for one shortcoming. The corner construction lacks sufficient â€œbite â€œ on mattress. A little more cloth or stronger elastic would make the difference. Cloth texture is wonderful. Best sheets I have ever owned! These are superb sheets. Comfortable and so reasonable. I am ordering more for my other bedrooms. Great value for quality bedding. The sheets I received were of very good quality and they are indeed very soft. I am very pleased with my purchase and plan to order more for my other bed when the next sale comes around. Even better than described - comparable to expensive sheets - Will order more colors ! I have purchased these sheets over the past year for personal use and to give as gifts. They are so soft and comfortable and I love the beautiful colors. This is my third set of the Regal Comfort Designer Collection 1600 Series Sheets that I have purchased. You will love them, and they dont wrinkle, soft, and so comfy to crawl into. Anisa, you were so right, they are everything you said they were! Great fit and high quality at a bargain price. WHEN FIRST GETTING UNDER SHEETS, WARMER & MORE COMFORTABLE THAN PREVIOUS SET OF SHEETS. ALSO SOFTER THAN PREVIOUS SHEETS. A GREAT FEBRUARY 14th 2018 VALENTINEs DAY GIFT. MY HUSBAND SURPRISED ME. Came as advertised. Great price. Sheets feel extra soft. Lets see how long they last, that will be the final test. They are thin and ill fitting. dont do it. This is about the 5th set of sheets we have ordered and some were 3 times this price but rough and not soft. These sheets are as soft as they say. I will be ordering some more. I bought two sets. One for my bedroom. One for guest bedroom. Quality and comfort are exceptional. 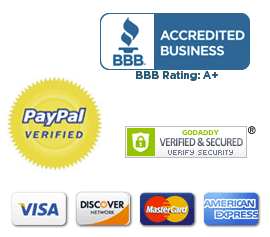 I will be ordering more because they are a great value for exceptionally comfortable sheets. These sheets are thinner than I expected, but very comfortable. The first time I washed them, they left a TON of purple lint in my washer and in the dryer, too, but after that, they have been great. I have washed them a few times and they have held their color. They are very soft. I do like both the comfort and the color. They are great if you dont sweat much but if you do or am a woman at menopause think twice. 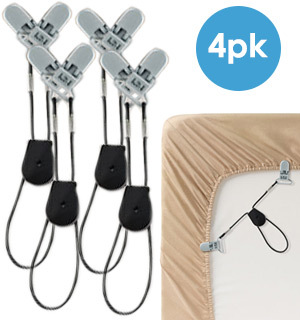 They cling and wont allow you to roll over or even get out of bed without getting tangled. They are wonderful. Very very soft. Will be buying more. surprised at the quality for the price. These faux Eqyptioan cotton sheets and pillowcases are the most comfortable and luxurious-feeling sheets I have ever felt. And for the price I paid, well the value received is just amazing! Very happy. Very nice and soft. This is the first time I buy them and hope they will be nice and cool in hot weather. Finally pillowcases that are big enough to fit thick pillows. Will buy again. These are my second purchase of these sheets...they are the softest sheets Ive ever had and I love the way they feel on my skin...nothing anywhere is as soft as these sheets...I wont buy sheets from anywhere else!!! very soft, fits my thick mattress, does not pill, low price. Excellent quality and super soft. Love these sheets. Have ordered more. You know the old saying - you get what you pay for or if it is to good to be true it usually is. These sheets are a waste of your money. I would return them but after I pay for the return shipping it is not worth it. Very soft and beautiful Great price! Excellent product but you dont have Twin size I hope in the future you will have it. The sheets are very thin and move all over the bed. The pillowcases wont stay on the pillows. I like a more sturdy sheet, this definitely doesnt fit that. Sadly, they were a big disappointment. Nice sheet set at a very good price. My wife loves them, so Im happy. These sheets are soft and durable. For Mothers bed although color is a bit shocking, she loves the feeling of quality. I was looking for a darker brown and the sheets would not stay on my 12mattress. However they were very soft and I hope will not pill. For the price, very good quality. I ordered two sets and both fit the mattress well and the top sheet is large enough to have plenty of sheet after tucking in. The material is also very soft and comfortable. I did receive one pillowcase that had a ripped seam after the first wash and it was replaced quickly with no problems! GREAT PRODUCT!!! Washed sheets before using, sheets fit well and felt great. I went out on a limb and ordered one set, and liked them so much that now I have 7 sets, in all of the colors! Excellent value! I even got rid of all of the other fabric sheets I had, and replaced all of them with these! I am pleased with how soft these sheets are and that they have deep pockets. My mattress is 14 deep. But they are VERY thin so I dont know how long they will last. These sheets are just wonderful...So comfy! Very soft and fit perfectly ðŸ˜Š !!!! Since I loved the first set so much! These sheets and pillowcases are wonderful. Theyre a value at twice the price. Theyre so great we ordered 2 more sets! bought a set of these sheets a year or so ago and very pleased with their quality. Would purchase again. Ive purchased 3 sets of these sheets. 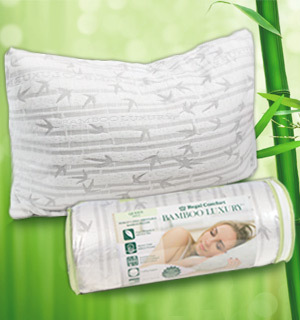 You cannot find a softer more relaxing sheet set on the market! These are the BOMB!!! If you like luxury then look no further!! These sheets are soft and warm. Very nice and will purchase again. They make great gifts as everyone loves them once they try them . From the moment I opened the package, I knew that these sheets were going to be the softest most comfortable sheets that Id ever purchased. The unbelievable low price was a bonus. You could spend 3X the price and not get this good quality. These are the softest most comfortable sheets Ive ever had. They also wash and dry with few if any wrinkles. These sheets are terrific! So soft and comfortable. We like them so much we just ordered another set! Were sent as gifts to Granddaughter. She likes them! Outstanding comfort and fit. Their called REGAL COMFORT and they certainly are, Im very happy and satisfied with my purchase. Absolutely the best sheets Ive ever bought for anywhere near this price. Time will tell how they will wear but I am pleased with this purchase. These sheets are so awesome. They are so soft its like sleeping on a cloud. I have 4 sets now and will buy more when a new color comes out. These sheets are so soft. So difficult to decide on sheets at stores with threadcount, cottons. Never know what is best. Then spend a boatload of $$ only to not like them. Decided to try these for the price. WE LOVE THEM! Eggplant color is gorgeous. Bottom fitted sheet has ample room for Queen mattress. Top sheet could be a bit longer in width side to side. Super soft. Not overly warm when sleeping. Will be buying again without a doubt! These sheets and pillow cases are so comfortable to sleep on. My wife was impressed with these sheets, the texture , the feel and compared to those priced $50 + on sale . Fantastically soft and luxurious. Will buy another set. These sheets are not only the softest sheets they are large enough to fit over my 13 mattress. They are the most comfortable sheets ever, I threw out my old sheets and ordered 4 sets of these, and I will probably order some more for gifts to my brother-in -law too. You just got to try these, they are the best. I bought myself a set of these sheets three years ago. I have since bought them for every family member or friend that have asked for sheets. I hated covering with a sheet until I felt the Regal Comfort designer collection. They are softer than silk! These sheets are wonderful and I would give them 5 stars except for the fact that since they are made to fit a 14 inch thick mattress they are too loose on a normal 12 inch thick mattress. I love theses sheets. So soft. I would recommend them to everyone. The price is great too. Love the sheets......I bought several sheet last year now more this year for gifts.....my family loves them! The Designer Collection 1600 Series are the softest and most comfortable sheets I have ever owned. They exceeded my expectations. One of the best sets of sheets we have ever had. I usually buy expensive 700+ thread count and these compare and are even better. I love them great quality and great price. thank you to Pulse, for this great deal. The Regal Comfort Collection Sheets set I bought are very nice and comfortable. I ordered blue and I like them very much and I feel they are worth the price. Thank you! Love love love these sheets ! Have 4 sets now...the price was fabulous besides the sheets being wonderful! The pockets on the fitted sheet are the best. No matter what brand I bought they always popped off. The feel is so soft and they wash good ! WE LOVE LOVE LOVE LOVE THESE SHEETS AND JUST PUT IN AN ORDER FOR Another Set Too !! .. At First .. We .. Hubby & Me .. Thought They Might have Been A Little To Thin .. But .. How WRONG WE WERE !! .. They Are PERFECT .. IN EVERY WAY .. AND THE DEEP POCKETS ARE GREAT ALSO !! Theres Nothing Worse than Making Your Bed /And / Or / Putting on a Set Of new / or / Clean sheets And when you go to Bed .. Or Wake Up, And , Your sheets are Half Off Of Your Bed .. when you Wake Up .. Right ?? Right !! ..They were Delivered Quicker Than I had expected Too !! I WOULD RECOMMEND EVERYONE TO ORDER A SET OF THESE SUPER SUPER COMFORTABLE SHEET SETS TOO !! AND .. ANOTHER THING HERE ALSO .. THE PILLOW CASES ARE GREAT TOO, NICE AND BIG FOR JUST ABOUT . ANY PILLOWS .. THAT YOU HAVE ALSO .. AND WE HAVE VERY-VERY BIG PILOWS TOO !! I ORDERED THE CREAM COLORED SET .. AND , NOW WERE ORDERING THE LIGHT BLUE SET NOW TOO !! .. THE ONLY THING THAT , I, PERSONALLY WANTED WAS THE GRAY COLORED SET .. BUT .. IM HOPING THAT PULSE T.V. WILL HAVE THOSE IN THE KING SIZE SET IN VERY-VERY SOON THOUGH !! IVE Ordered MANY-MANY Different Items from ..Pulse T.V. ..And .. I Have Been VERY-VERY SATISFIED WITH EVERY SINGLE THING THAT IVE ORDERED TOO!! AND THIS IS MY VERY FIRST .. REVIEW TOO!! THATS HOW MUCH .. WE LOVE LOVE THIS SHEET SET !! .. 5 STARS .. FOR-SURE !! .. THANKS AGAIN PULSE T.V. !! WHAT A GREAT PLACE / OR / WEBSITE/ TO ORDER JUST ABOUT EVERYTHING YOU HAVE !! THANKS AGAIN , Lisa P. Highland Indiana. Great --- My second set! We LOVE the sheets so much that we have purchased an additional set for ourselves and 6 sets to give as Christmas gifts. Excellent quality. Ordered for all beds and spares. Good selection and fast shipping. The sheets are thin but they are sooo soft. I got a new mattress and bought these to put on it. My first night felt like sleeping on a cloud. I like the sheet set, but the pillow cases seem to be queen instead of full. Some of the most comfortable sheets I have ever had. I was surprised at the price for the quality. The sheets were soft and felt like silk. Cool insummer warm when it gets colder . Got the wrong color sheets. Purple, instead of Egg Plant. Unless its the outside of the Eggplant that the sheets are named after. Anyway, like the sheets. Like the site. Im buying more stuff. I have 3 sets of these sheets and they are the softest sheets I have every had. And they stay soft wash after wash. I just ordered a set for my mother. The best sheets for the price ever. Every time they come up I order a set whether I need them or not. These have to be the most comfortable sheets I have ever slept on. What a great bargain! Cant wait to purchase more! Ive been buying and giving these sheets away as gifts for three years now. My friends and family members love them for their softness and durability. And the great assortment of colors makes sure everyone is happy! Last set lasted 3 years! We have an off white set that we slept on for around 3 years. It was finally time to replace them so I found our old receipt and made sure they were the same. They still are so we were happy to order them again. We bought 2 sets and the price is really great. Would be a great gift. Sheets are very thin, but soft. will be nice for summer, are too thin for winter though. only washed once, but held up. hoping for long lasting sheets that dont peel. I love these sheets. This makes the second time I have ordered them. They are very soft and feel very good against your skin. They wash well too. I highly recommend them. They are a great value. LOVE, LOVE, LOVE these sheets!!!!! I started with one set to make sure they were all they were cracked up to be. I have to say I was VERY pleasantly surprised. I like these better than the Egyptian cotton sheets I paid MUCH more for. Since that first purchase about 3 years ago, I have purchased at least 9 more - a few sets for every bed in the house. Aside from that I have purchased these as gifts several times and everyone LOVES them! So soft and so comfortable! These sheets are magnificent! They fit the bed perfectly and the color is soft and beautiful! I have ordered 3 sets and use them everywhere. They feel good and you gently fall asleep. For those who have trouble sleeping, these are perfect!!! Love these sheets, they are just cozy and they wash up just beautiful. These sheets are so comfortable. They are soft. They keep me cool during the night, I really like them. Super Soft, very comfortable,washes well, stays put. As mentioned by other reviewers I was initially surprised by how thin the sheets and pillowcases are; but,they are amazingly soft and very comfortable! What I love is that when I change my sleeping position I dont feel tangled up in the sheets. I only hope that they hold up well in the washer and dryer!! I was skeptical but these sheets are the softest Ive ever experienced! They are very comfortable and worth the money spent on them. THIS IS THE SECOND SET OF THESE SHEETS WE HAVE ORDERED. WE JUST LOVE THEM. The sheets are great! A true deal!! The luxurious feeling of lying on a cloud, love them. Seem to be cooler when the weather was hot, just great. we bought the sheets in king size. they are very soft. we will buythe same sheets again when we make our next purchase. these are as advertised, however they take some getting use to. they are very wimpy and not firm like cotton. they are very soft, as apposed to crisp. I cant even believe how good these sheets are for 29.95 a set! So soft!Thank you so much for great product at an unreal price! Pros: The fit is good soft, comfortable Cons:None so far. Will reevaluate after 1st washing & drying if my rating changes. Sheets are way too thin and flimsy, but are soft and fit well. They live up to their name! Regal! Very good quality and comfy soft! Love it, just put it on my bed last night and it stayed in place, no wrinkles,very comfortable and always feel fresh! Wonderful, feels like Egypatian cotton. What a great price for something so nice!! I Honestly LOVE these sheets. They are so soft, and the price was right as well! Egg Plant Color is beautiful with any bed spread. I will ordering more of these for Christmas gifts. We have three sets of these sheets two for our home and one for the RV. These were purchased as a wedding gift and the receiving couple were very pleased. I recommend these sheets to any and all. We live in the northwest and use these all year long. The sheets are very comfortable and well worth the price. I absolutely love these sheets, nice and soft, love that they have 4 pillowcases. I own 5 sets!! I have purchased five sets of these sheets. They are the softest and best sheet I have ever purchased. The price is incredible much less than one would spend in a department store. Soft as warm butter -- but without the mess! Yes, that title was a joke, but they are the softest sheets Ive slept on, and soft butter is about the closest comparison I can think to make. My wife loves them, too! Very soft and color was right on. Very comfortable sheets, and the fitted sheet fits well which is tough nowadays with huge mattresses. I only purchased 1 set to try them out since I have never tried microfiber sheets.Wow, they are nice and soft even after washing. I will purchase more in the future! Love the feel and sleeping on them. Just a wee bit thinner than I expected - otherwise - glad I took advantage of the multiple set order offer! I love these sheets! The color is very nice and rich, didnt fade after washing! Sleeping on them was divine;so soft and comforting!Only downfall was they wrinkled easily. I love these sheets but was very sad that you do not still carry the king in grey as that is the color we changed our bedroom to. I had my doubts about the sheets I purchased but when they got here I was pleasantly surprised that the color was so true and they are so soft!! I cannot say enough good things about these luxurious sheets. They fit the mattress really well. They are soft like butta! The sheets came in faster than I expected, and are very soft and comfortable. Could not be happier! Loved my sheets, they are so soft. And they are wrinkle free when they come out of the dryer. Love them ! I got 2 sets of sheets - blue and egg plant. I am very pleased with them. We originally bought two pairs of these sheets. Thought that for the price they were worth a shot. Loved them! We decided that we needed to get another pair and were glad we did. So soft and comfy. Love these sheets. They feel great and fit perfectly. We have very thick pillow top mattresses and these fitted sheets actually fit them. This is a first. Will buy more when we need them. I was surprised at the quality of the sheets for this price! They fit my thick mattress fine and washed well. These sheets are so comfortable and soft that I replaced all of my old sheets with new sets. Also gave them to family as gifts, they loved them too. Well worth the money. A LOT of the advertising you see on the Web selling merchandise just NEVER measures up to what they claim. I personally have had to return 3 orders from other companies. These sheets from Pulse meet and exceed their claim. You are NOT going to find queen sheets of this quality at other sites. My wife and I LOVE the sheets so far and I will be ordering more very soon in different colors. Also, as an aside, I have purchased other items from Pulse and have YET to be disappointed. I love, love , love these sheets. These are the best sheets I have even had the opportunity to own and sleep on. I love these sheets! The fit on my queen size bed is perfect. They are nice & soft & I consider them a good value for the price. Very light weight, nice silky feel, great price! Drying after washing wads and twists sheets into a ball, even with the Wool Dryer balls I bought. Making the bed takes longer due to the sheets light weight and polyester blend, and despite the silky feel, it doesnt breathe, and I wake up sweaty. Sheets dont feel like the polyester they are. They feel great. Hope they hold up. Great price if they do. Light and so soft. Almost like brushed cotton. Sheets were not up to the quality I expected. Returning today. So after just recently last week getting the blue ones, which are on my bed. I now officially own 4 of these. Only sheets I use. With this new news I guess I am going to have to buy the grey ones before they are gone. They have the best deep pockets ever. I have previously stated on an earlier review that I have a temperpedic bed and they are the only ones that stay on when I lift my side of the bed up to read, etc. They are very soft but not wrinkle free. This sheet set is the most soft sheets we ever had. This is the second set we purchased!! Soft, smooth, silky to the touch, just as promised! Delightful! These sheets are wonderful. I particulary like the big pockets on the fitted sheets for an easy fit. They feel soft and even seem to be cooler than a lot of sheets. Having 4 pillowcases with the the sheet set is a real bonus. I bought these sheets before. They are soooo good that I bought some more as gifts. They truly last a long time and you cant beat the price and service. They are really nice sheets. I will order again. Thank you for helping a good product. We have purchased these sheets before for a larger bed. I am sure they will be just as comfortable as the first ones were. The sheets are alright but feel like theyre so thin that they may not last. You get what you pay for. These sheets were fantastic out of the bag. So soft and luxurious. But I wanted to wait until I washed them to comment. Exactly the same feel out of the dryer. Would definitely order these next time they are on sale. ever so soft! I have night sweats and they are light enough that they do not add to my heat but still absorbant! Im a repeat customer...these are the 4th or 5th sheet sets Ive bought and I still love, love, love them! Theyre soft and silky, easily fit our mattress without coming untucked, wash and dry well with no pilling and the price is outstanding. They arent heavy weight, which concerned me at first, but have stood up beautifully through many washings. Another thing Ive noticed is that they manage to be warm in the winter and cool in the summer. Baffling, but definitely appreciated! Highly recommend. The sheets are a beautiful color and are the quality of much more expensive sheets that I have admired but couldnt afford. They make me feel like Im sleeping on a cloud! I thought these sheets were mighty thin for the 1600 number thinking thread count, but clearly means something else. They will be fine for summer use. I hate percale and its too hot for flannel .. looked high and low for muslin sheets and this is the closest I have found. THANKS YOU !! Spent my first night on these microfibre sheets and they feel just as soft as Anisa said they were. A very good bargain for the money. Proof will be to see how long they last. Im always looking for bed linens for a greater nights sleep. Ive been through them all, cotton, percale, satin, flannel and Egyptian Cotton. Nothing compares to these microfiber sheets! Wonderful! As far as the sheets, â€An A is an A, What more need one say! 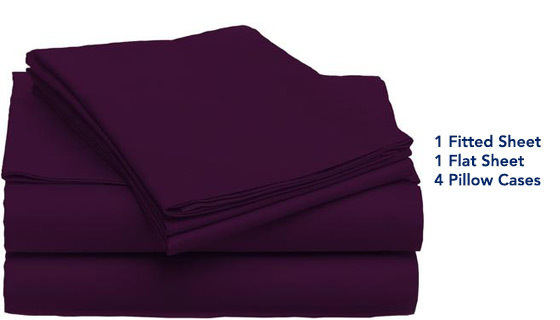 Great value for this soft sheet set. Includes 4 king sized pillow cases. Nice quality. Recommend! These sheets are very soft and light, which is perfect for Florida. They feel just as nice after washing and they look great! This is the 3rd set that I have purchased,and so far they are great. I was a little hesitant to order one of these sheet sets. I have been fooled in the past with ordering them sight-unseen but when these arrived I was delighted. They are soft and laundered very well! My husband loved them and we will be ordering another set soon! Would highly recommend these to anyone needing a soft quality sheet set! I dont know a lot about sheets. I mentioned this product to my wife and she was skeptical but we decided to try them out because the price was definitely right and other products were have purchased on this site were very good. As it turns out, my wife was thrilled with these sheets and asked me to order another 2 sets queen/regular sizes. And, to tell the truth, I was surprised how soft they were. We decided on the California blue which is a beautiful new to us color. These sheets also fit perfectly for each bed without a struggle trying to make that last corner fit. We are delighted. The fitted sheets are still hard to fold. The fitted Egyptian 1600s probably arent any easier. Nobody has solved that problem yet. These sheets are so soft and fit the mattress without having to struggle with the corners. Great buy for the price! These sheets are great, price-wise & wear-wise. Very, very comfortable! Washed them and made my bed. At first I thought the fitted sheet might be to small but it is a snug got. The sheets feel wonderful and helps aid in a nights sleep. Most comfortable sheets I have ever slept on. I have King size for my bed, and I purchased two sets of queen size for the other two bedrooms. We needed another set of sheets so when I saw these on Pulsetv.com I decided to give them a try and put in my order. I have purchased sheets online before from other sites and had mixed results with some being very nice and others total junk. Upon receiving them I thought they seemed very light weight but after putting them on the bed they are very soft and comfortable. My wife and I are extremely pleased with these sheets. They are nicer and softer than ones we have purchased at retail stores for twice the price. Would definitely purchase these again when we need another set. We really like them! Quite soft, cool and comfortable and the price is out of sight!!! They are Great! So soft and fits my deep pocket mattress perfectly. Im going to be buying some for my daughters too!!! Probably the softest bedding i have slept on in my 70+ years. From the time they arrived i could tell i was in for a treat at bed time. They proved to be just as advertised. In fact they are so great i have ordered more for my quest rooms. Sheets are soft, fit fairly well & dont get pills with multiple washings. I would prefer, however, that they didnt have elastic all the way around the edge. Unbeatable value! 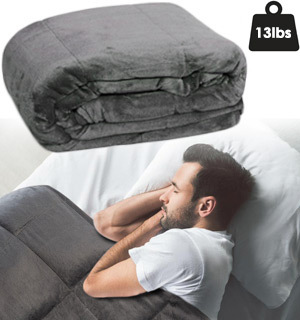 I have in the past purchased sheet sets from Pulsetv.com and have been totally satisfied with this product. My only constructive criticism would be that there is not enough range of colors being offered. What about: light pink, mint green, or even a mild sunset orange? Extremely comfortable Sheets. I love them. Would have been 5 stars, but I ordered Cream and received light Blue. NP, like this color too. I love these sheets which is why I just bought my second set. These sheets are soooooo soft and comfortable. We ordered one set to try and after having them on the bed for a week, went back and ordered two more sets in other colors. They do pill a little during the first use, but still a fantastic value and a great product. This is not the first time I purchased these sheets. I was so impressed with the first set I was eager to get another. They are so soft it defies description. I am 100% satisfied with this product and highly recommend them to anyone thinking about a new set of sheets. These sheets and pillow cases are an excellent quality. They feel soft, and mine are pure white. I enjoy their feel for sleeping and also while resting in the afternoon reading. Do not confuse them with other $29 Internet bedding deals. I intend to give some to friends and family. I am truly surprised at all of the 5 star reviews. I own and operate 26 beach vacation rentals in California and I have purchased MANY sheets in the 15 yrs in business and these were like tissue paper. I was afraid if I left them on the bed my guests might end up on the mattress pad. They also pill like crazy. I love microfiber in most items but NOT sheets I have purchased a number of them saying 1600 count and I hate to say it but there is no thread count on microfiber. I am glad the people who love them do but I donated mine to a shelter. I bought a set a few months ago and just love sleeping on these sheets. I HIGHLY recommend getting a set of these. You really cant lose for the price. These are the finest sheets! I dont know how anybody could find fault with these sheets. They are the softest most comfortable sheets I have ever felt. Not to mention the fantastic cost. Such value! I just purchased my 5th set in the new blue color. I recommend them to anyone. I have ordered these twice. When My sister in law visited she ask where I found them ,commenting on the softness. Love that there are 4 pillow cases. These are the softest sheets Ive ever owned. And for the price its even more amazing. Usually King size sheets are at least $75. I also love that it comes with 4 pillow cases. We both use 2 pillows a piece so this is perfect. I also bought a set for a wedding gift and they loved them too. A++ Would definitely recommend. I have ordered eight sets of these sheets, I love them so much. Had a king bed and one queen, but then traded king bed for sleep number queen. The deep pockets are a godsend! The price cant be beat, especially since you get 2 sets of pillow cases. Very soft and cooling. Highly recommend. I have already reviewed these before. However, just want to add a couple of more feelings. I have owned 3 sets for probably a year now. They do not pill at all. I have a tempurpedic mattress which is very thick, with a mattress pad as well. I raise my side up every night & they NEVER come off of the corners. I am probably going to buy another set or two. I am 63 years old, and needless to say I have gone through many, many sets of sheets. Suffice it to say, these sheets are the best quality with the most comfort of any I have ever slept on at ANY price. I have bought several sets from you on several occasions and have recommended them to others as well. When I was a newly wed at age 18 the first set of sheets we had were like sleeping on burlap! Oh what a change these are! We have several sets of these, and they are BEYOND awesome. We have a deep pocket sleep number bed, and good sheets with deep pockets are expensive usually but these not only fit they are SO soft! I am ready to add to our 4 sets just to be sure we have them if they stop selling them! I had my serious doubts about the softest described in reviews. So very glad I tried them. They are the softest sheets Ive ever slept on! They are so soft and comfortable that now my husband and I dont want to put on our designer sheets. These win hands down! Were ordering more for our bed and another set for the guest bedroom. These truly are the softest sheets Ive ever owned. Hands down the best purchase Ive ever bought from you guys. I do wish you had more colors. We had been looking for a nice set of sheets to fit our sleep number bed, but found our choices very limited until we found these and decided to give them a try, they fit perfectly, and with the very deep pocket we can still raise and lower each side separately with out the bottom sheet popping off the corners We are so impressed that we have just purchased another set. I love love theses sheets. They are so soft and comfortable. I had to order more. Very happy with this purchase. I do not care what anyone thinks negatively for the price of comfort, this is a true bargain. I could not believe what Anisa said, so I purchased the Queen size in Chocolate. Wow, what comfort. It helped me get a better nights sleep. I bought another set in cream! Outstanding! - Contour sheet fits great for our King Sleep Number bed. So much of a savings and they and so comfy and soft! We normally pay $150 or more for one set of sheets. When I bought my 1st set they didnt have the color I wanted so I bought a different color. I love these so much that not only did I buy the color I wanted when it was available but another set also. So I have 3 now and they are now the ONLY sheets I use. We have a king size bed and they fit great. Huge deep pockets for corners. These sheets feel just the same as 1600 Count Egyptian Sheets, but they are actually made from Microfiber. We do apologize for any confusion that some of our customers may have. If you have an issue with any of our products, please refer to our return policy! These sheets are amazing. Very soft and wash beautifully. I was concerned that they may not stay on the king mattress that is deeper for a waterbed frame, but they fit fine. I bought 2 sets - and highly recommend. I absolutely love these sheets. They are very comfortable. I really like the fact that even though I have a topper on my mattress these sheets still fit the mattress and do not pop off. I have ordered two sets and I have come back today to buy another set. The price is also amazing. they tell you straight up that these are NOT egyptian cotton but FEELS like they are! Positively the truth! You can NOT tell the difference in these and the HIGH cost sheet sets; however they have a DEEP pocket which makes changing the bed extremely easy which I love! Mine have washed perfectly and have held up great! Back to buy more of them again! Have never had mine to get Nubby balls or lint problems whatsoever! Feels brand new every week when I wash them and put them back on the bed! Feels great against skin and we LOVE THEM!!!! as soft as these sheets are, they pill like nobodys business! I have to wash them separately, then rinse the washer out because of all the fuzz left behind! other than that, they are warm and snug. These sheets are the best I have ever slept on. These are simply GREAT!! !